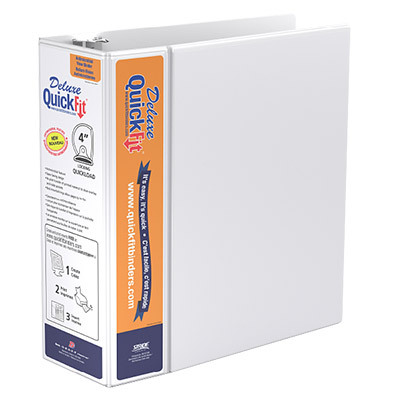 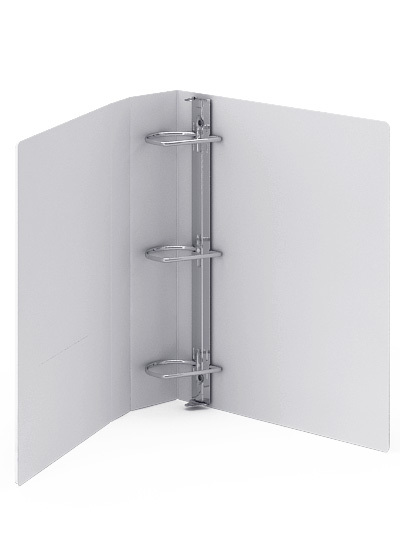 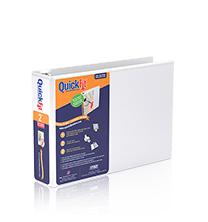 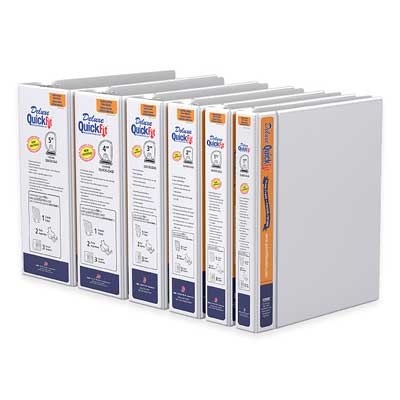 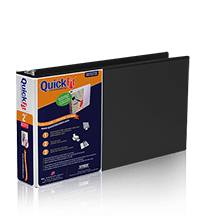 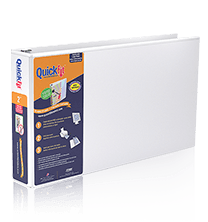 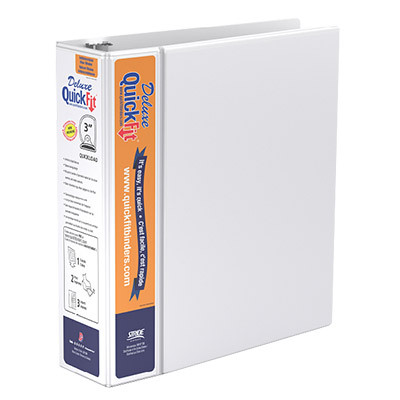 The unique space saving design of these QuickFit® binders uses a double hinged cover that takes up less space on a shelf. 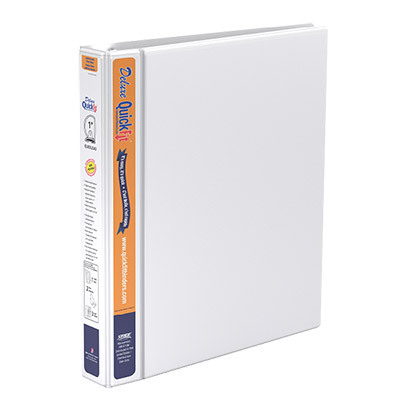 Ink transfer resistant overlay on front cover and on spine. 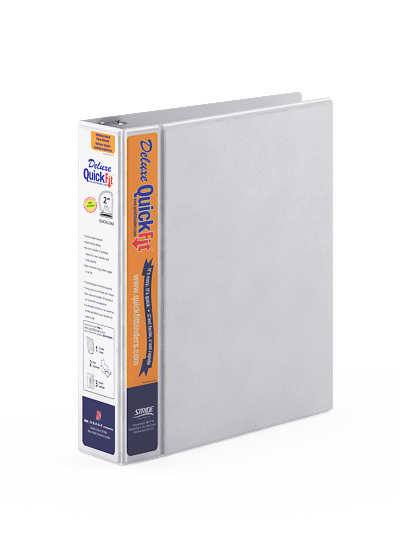 Commercial grade heavy duty construction designed for frequent reference and longevity for 8 1/2" x 11" documents. 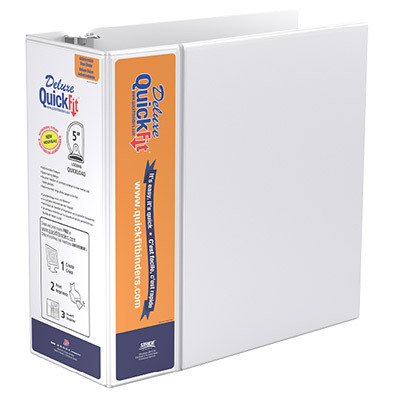 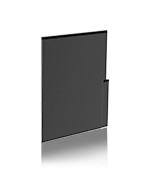 The QuickFit® Deluxe View Binder comes in a variety of ring sizes, including 4 inch and 5 inch. 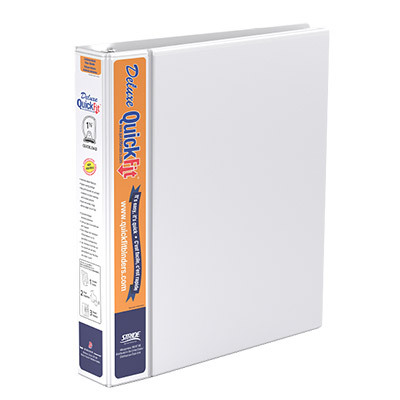 Quickload Ring - exclusive design "saves you time!"